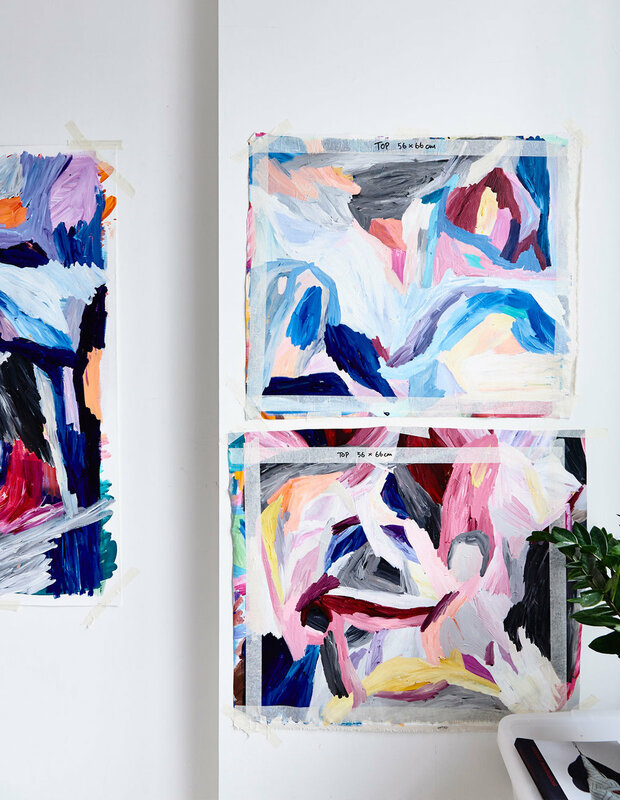 Skye Jefferys is a Melbourne-born, Singapore-based artist. of the tropics, orchid mauves and dragon fruit pinks are influenced by the fragrant melting pot of cultures that come together in Singapore. with potential twists and turns, possibilities that might breathe beyond the works’ boundaries.